i need mobile alerts, …texts, sent to me to keep me abreast of the market. i will probably not trade much from mobile, …only to receive price alerts. the price alerts will be moving average targets. …very simple stuff here. once i get an alert i move to the desktop and work on the trade. so…does TT make sense as a platform? 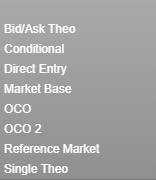 …can i get moving average price alerts sent to me by text? Thanks for joining the Optimus Community. I believe TT would be a great platform for you. Alerts can be created and configured from either the desktop or your mobile device. 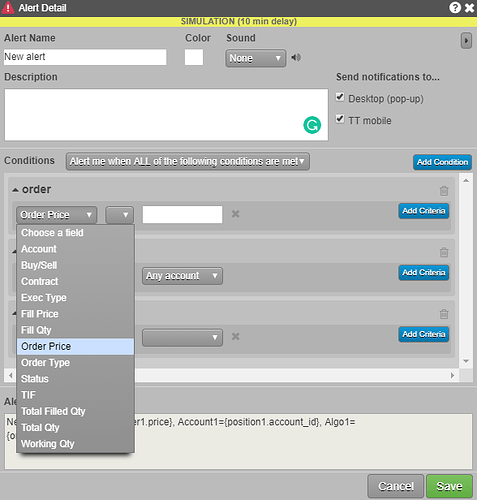 Once you create an alert, you have the option for the alerts to be sent directly to your mobile phone as well by enabling the Send notifications to TT Mobile option. Please be aware that you won’t receive these alerts as an actual “text message”, but they will be received as App notifications. Either way, TT Mobile will keep you on top of the alerts you have created straight to your phone.